Talk about fancy holiday getaways, vintage handbags, even a skin formula, a woman has needs, immediate needs. And there is no better way to cure them than to pursue a new “social entrepreneurship portfolio that creative Liberals have conjured up which thus far has demonstrated maximum benefit at minimum cost. The only problem is that, heavily reliant on the fickle entities of a lookable face and a fierce physique, this type of entrepreneurship doesn’t offer much in terms of a proper retirement plan. That the culture of disciplined saving for a “rainy” day is not an innate human characteristic makes the sole reliance on social entrepreneurship even more unreliable an occupation. A very Bad Joke Stretched too far? Having chosen to bear the rigors of laws school on the side (you know, for the future) and of course, schooled in these laws of diminishing returns, soon enough one Corazon Kwamboka will also table her application for admission to the bar. Her supposed stellar grades of zero consequence, my guess is that at the behest of LSK or some concerned citizen, the Chief Justice will invoke a morality clause to veto her admission. But a person of her rumored intellectual mettle ought to sprint to Court on a petition seeking everything article 23 has to offer; a stay of the CJ’s orders, an order of compensation and a declaration of rights, name it. Not sure she is one, my thinking is that perhaps satisfied with the substantial reaps of her social entrepreneurship, a lack of interest or better yet ignorance, she’ll probably stall – and she should! Hers makes a very curious case, on several fronts. Foremost, her ‘immorality’ does not constitute a seamless fit into the professional misconduct definition of Section 60 of the Advocates Act and part C of the Code of Ethics and Conduct for Advocates; neither does it constitute a direct shortcoming on the moral fitness meditated by section 15. Actually the aforementioned sections do not offer any proper definition for profession misconduct or moral fitness yet it is only upon these grounds that any pre – disqualification could have been premised. Secondly, denial of an admission to the bar on moral grounds, while meditated under section 15, is actually quite rare – at least as far as Kenya goes. Internationally, where admission or even disbarment has been contested, it has always been on matters other than supposed ‘loose morals’. Where the law has extended the boundaries of professional circles such as in Prince v. Law Society of Cape it has regrettably failed to interrogate the question of shifting societal morality. The interpretation of prince is that an advocate can practice adultery of the highest contemplatable extent, even “twerk” in clubs as bonus, without qualifying for disbarment or other disciplinary proceedings as she would if she touted, undercut or ‘smoked a blunt at home’. 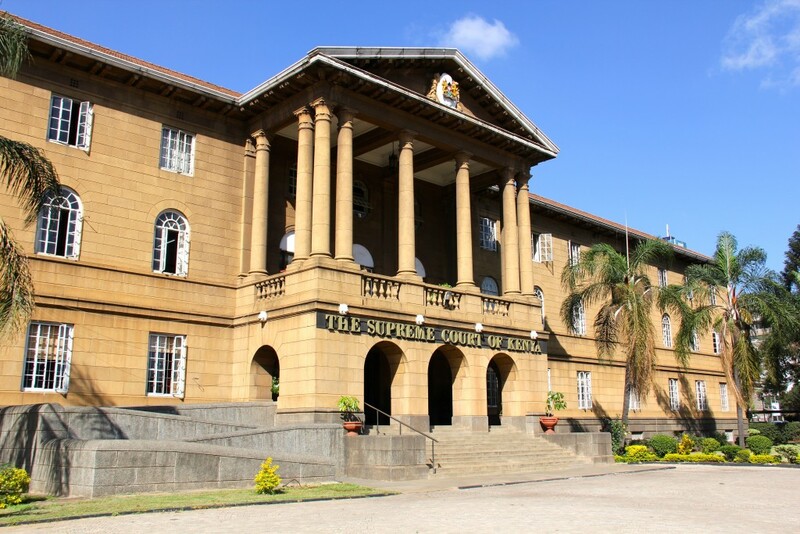 A violation of the dictates of the LSK Dress Code of 2013 falls in the same category as the aforementioned wrongs of undercutting, touting and many more highlighted under the Advocates Act. It qualifies as a professional misconduct even a moral flout, not because it is morally wrong in the strict sense of “morality”, but rather because it is a breach of codified law – an illegality! That said, while there is no such thing as ‘my dress my choice’ for an advocate (even a lawyer), this caveat only extends to courtroom appearances or when making a chamber application before a judge or magistrate. Outside court however, when the veil of Madam Wakili is dropped, Corazon is free to resume her preferred “tight and skimpy”. The same goes for dreadlocks and other elaborate hairstyles, footwear, jewelry and earpieces. Unfortunately for her, the law on professional misconduct is not cast in stone. The latent ambiguity of the definition of moral or professional misconduct, even the discretion that the Advocates Act places on the Chief Justice to veto any requests of admissions means that what is moral or what amounts to professional misconduct is the discretion of the admitting authority (and the courts). It is on this confusion that Corazon, if she is as stellar as whispered, will sprint to court! That she publicly practiced and enjoyed the fruits of her trade, that she enjoys an alarming notoriety of expertise in a trade that the lay public considers a locus classicus for prostitution however, presents a very serious stumbling block to any argument she might want to put across in her defense. For the public, a night nurse? Practicing advocacy? Now that is enough to throw a profession into disrepute – enough a ground to warrant non-admission! Equally, the code emphasizes on “Responsible use of social media”. I’m not sure Corazon would be willing to give up Instagram, ‘attending events’ and ‘modeling’ for the boring, not so well paying rigors of a court room, let alone give up the trips to Dubai, Barbados et al for the Kibera Law Courts. Hopefully Corazon will proceed to court because the court’s ruling on this one would make an interesting read. Actually, if we are to be guided by prince (supra) she could just win her admission as long as she denounces her lifestyle thus far and undertakes to lead a reformed and dignified legal practice. Any other outcome and we might as well name a popular nightspot after her.